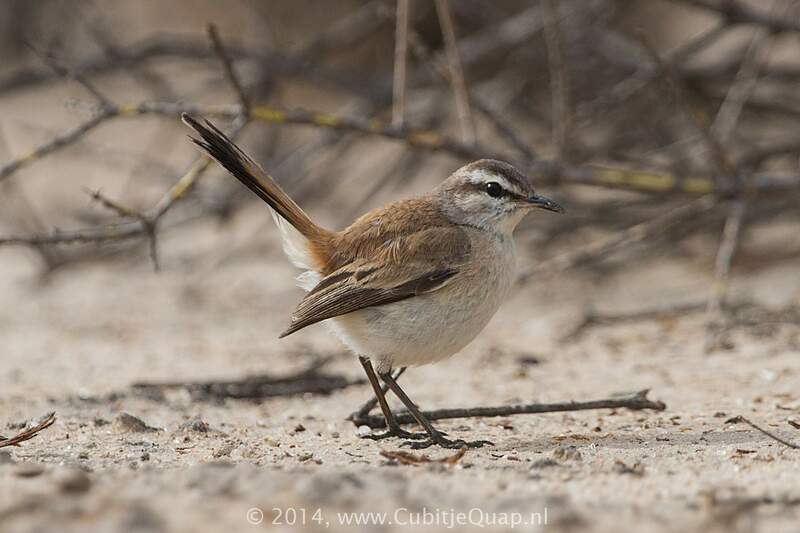 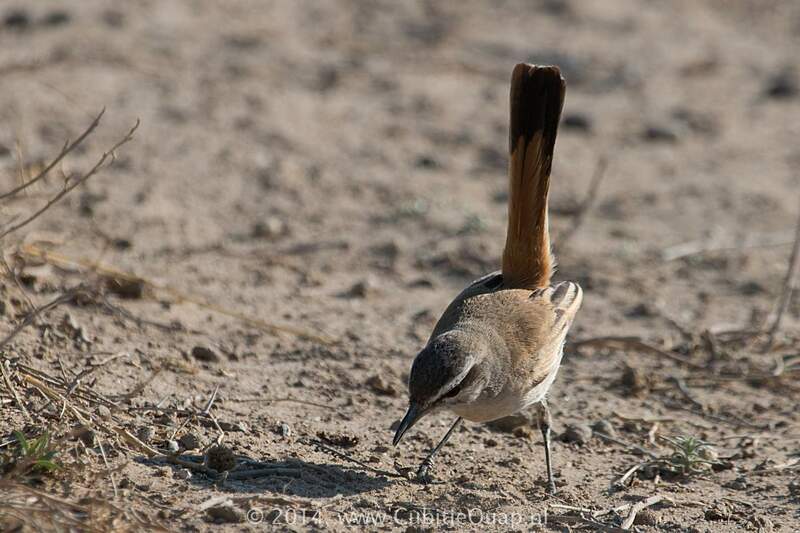 A sandy brown bird with a pale eyebrow, a rufous rump and uppertail, and a broad, black subterminal bar to the narrowly white-tipped tail. 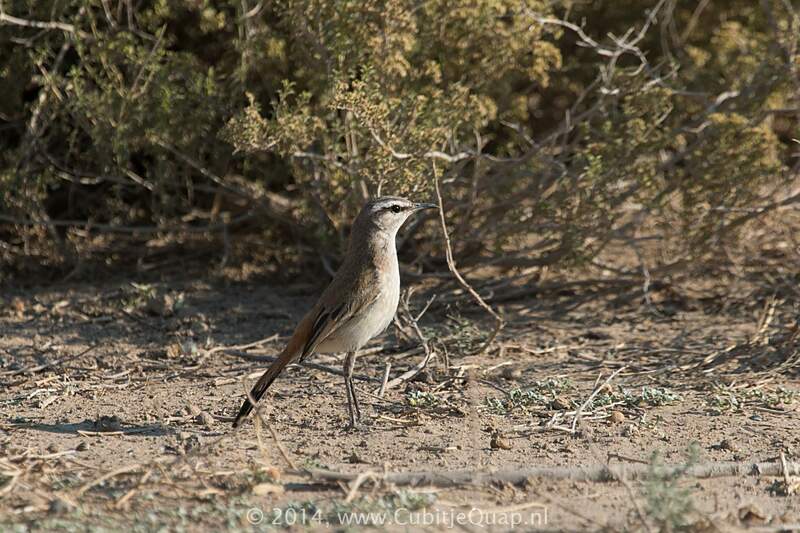 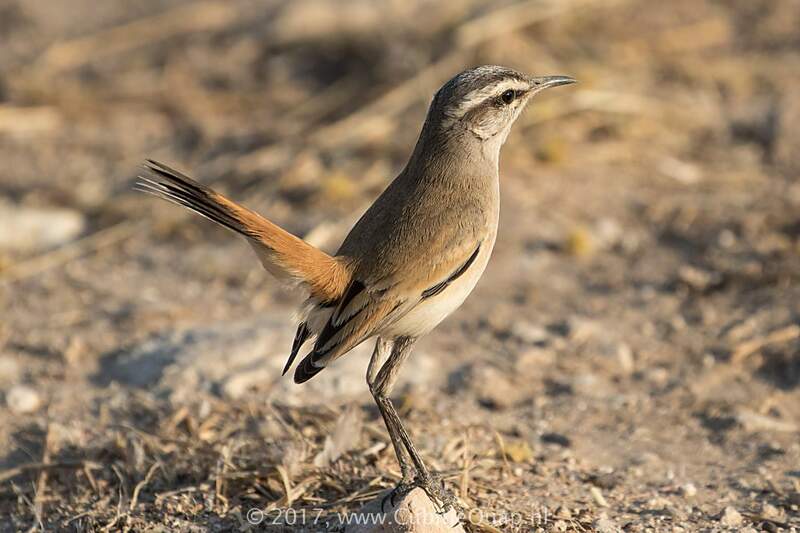 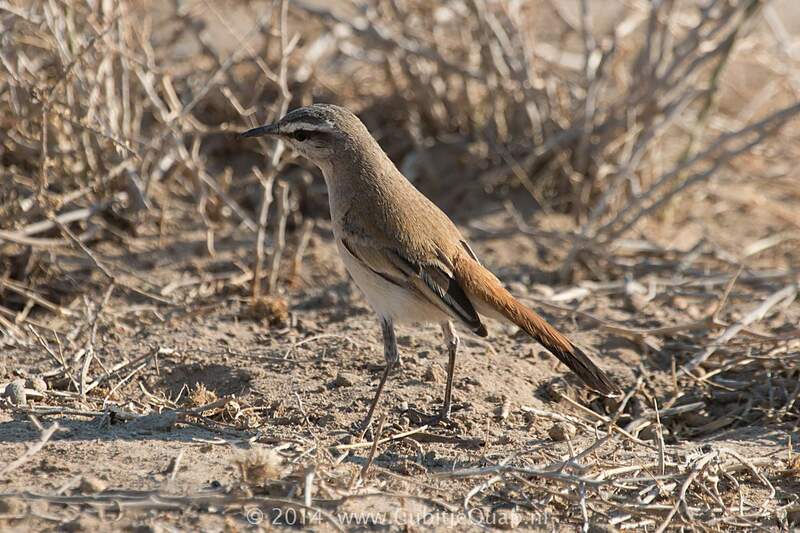 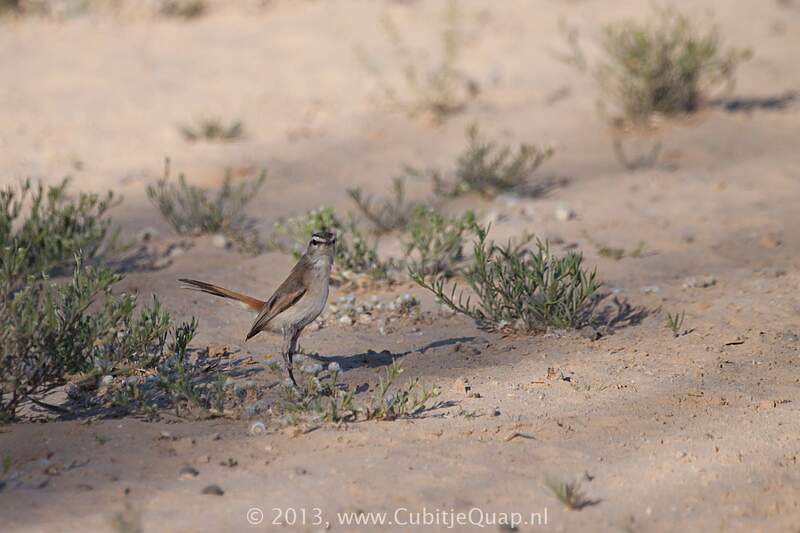 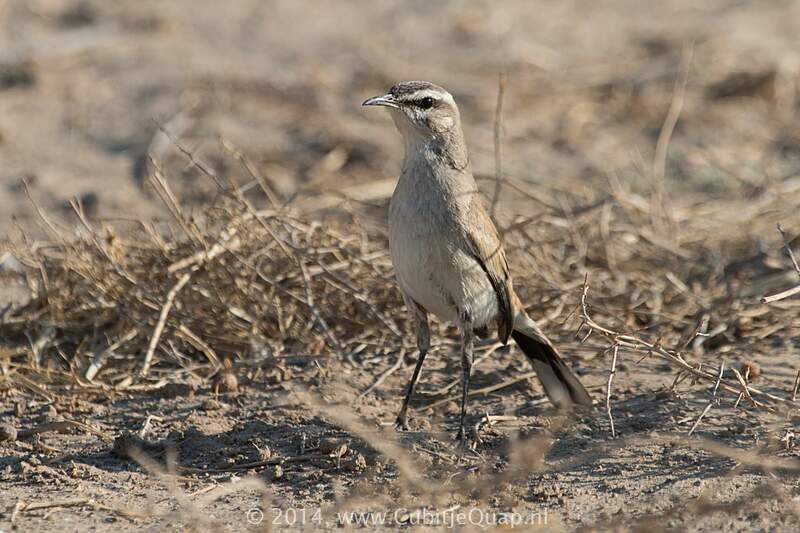 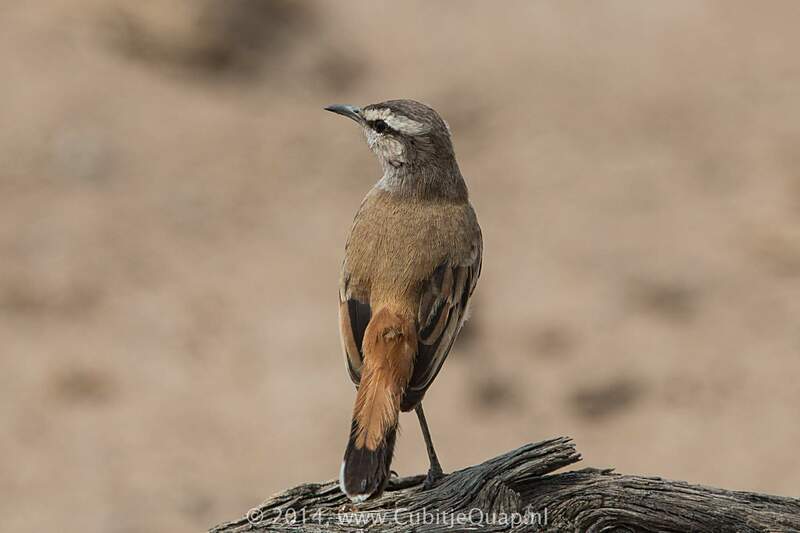 It lacks the breast streaks and white wing bar of white-browed scrub-robin and in flight shows more rufous on the tail. 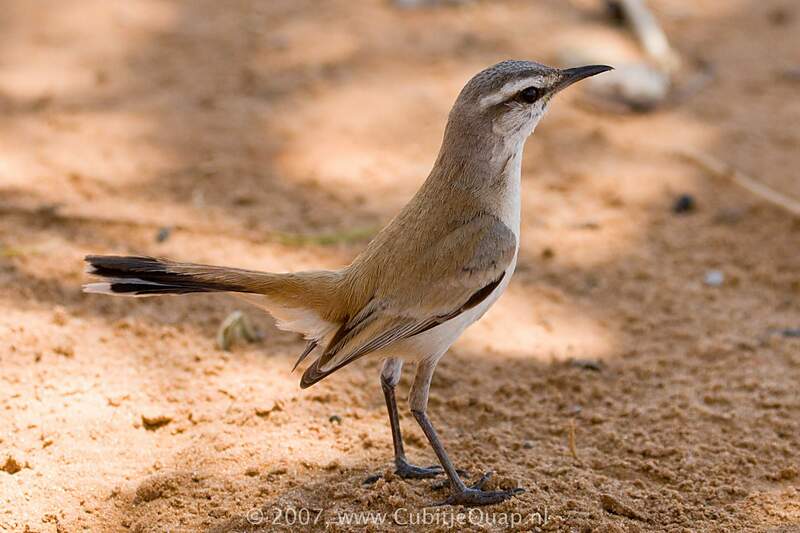 Juvenile is mottled with sooty black and buff above and below; tail like adult. 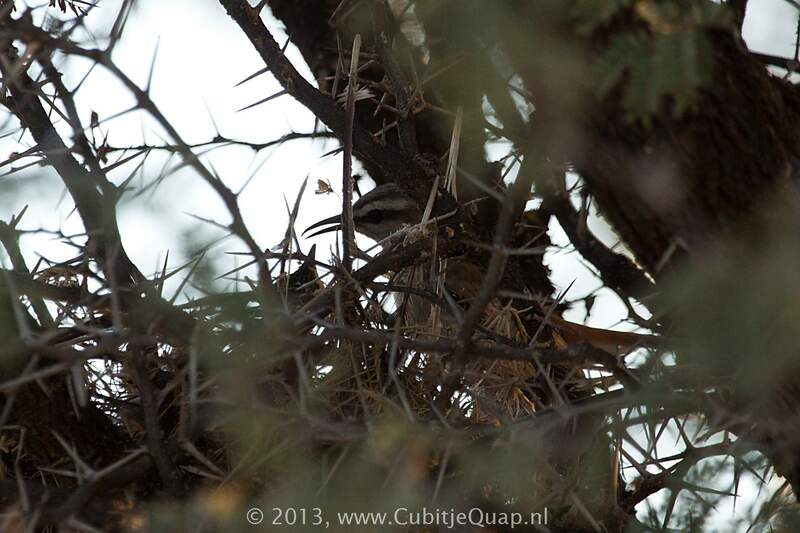 Dry thornveld, thicket and tangled growth around waterholes and dry riverbeds. 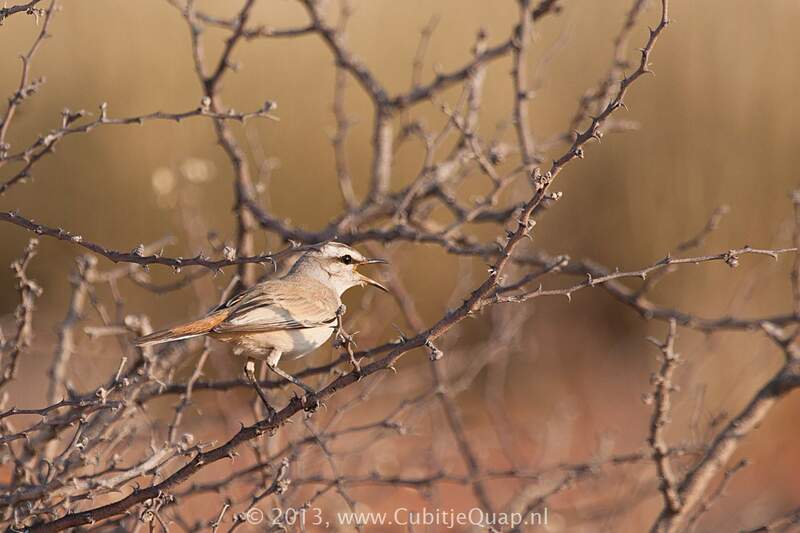 Alarm note a harsh 'zzeee'; contact call a whistled 'seeeup'; a musical song of whistles and chirps, more varied than those of Karoo or white-browed scrub-robins.